Ref. 04063 - For sale this superb authentic castle La Colle sur Loup. Its origines date back to the Renaissance. It has been built on through out the ages and is now an exceptional property. Sitting in the heart of a mature park of one hectar, with fountains, water features, and antiquities,is a hunting lodge, its guests pavilion faces a swimming-pool signed by the artist J. Cocteau. It boasts numerous outhouses, with bedrooms, ensuite, and private apartments. Maintained and renovated with care by the successive owners, it has been tastefully decorated by the actual owners. This historical building manages to retain its origins and adapts to our modern times. -The main building: a large reception room with vaulted ceiling and stone floor opens onto the terrace and gardens, in addition it nowadays has a warm living-room with chimney, and through to a dining-room, and smaller day-rooms,this also leads to the access to the welcoming family kitchen is also on this level, then access to the wine cellar. -The tower has a spiral staircase which gives access to the parental suite, and then to 2 other master suite. The walls are decorated with murals depicting the visit of King François Premier to the castle, leaving a enduring mark of this period. -The family aisle had 3 bedrooms with ensuite, on this same level. -On the lower level is an independent apartment, with a charming living/dining-room come library room. -The 1200msq home can house 24 or more people in comfort. 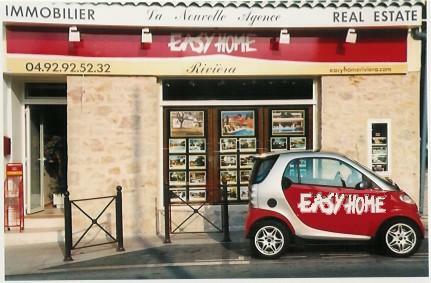 We are near Antibes its port and old town, Cannes and the Croisette and the golf clubs are an easy 15mn drive.